I had some brown rice in the fridge to use up and some of one of those cranberry, walnut, almond salad topper stuff you get in a package and it also needed to be used soon. So, looking at what I had on hand, and because I adore curry above all other spices this is what I made and it was SO good I had to pass it on. 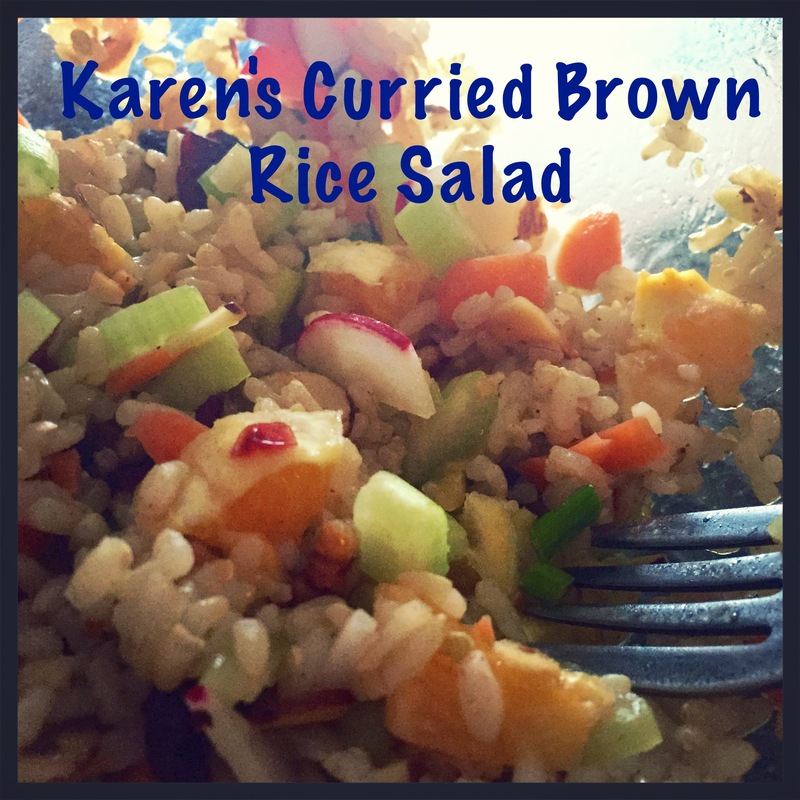 Mix rice, veggies, fruit and nut fruit topper together. Mix dressing and pour over the rice mixture and mix. I think it would be best slightly warm like this but I would not hesitate to eat it refrigerated either. This was just super delicious. Very creative use of leftover ingredients and to make it taste good is even better. I like your dressing idea. Thanks for sharing :). Oh thank you! I can’t tell you how much I love your recipes. I actually have a Persian restaurant right down the street that I love to go to, but it is so nice to be able to prepare some at home. They are so “comfort-y”. Awww thank you kchuplis. Nothing beats a home-cooked meal, but yeah sometimes it’s nice to eat out and not have to spend hours in the kitchen :).